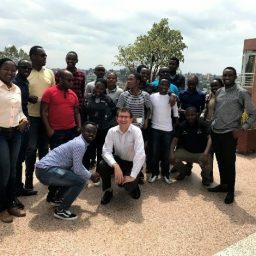 Join the data revolution in Rwanda! These guys are actually from the Democratic Republic of Congo. 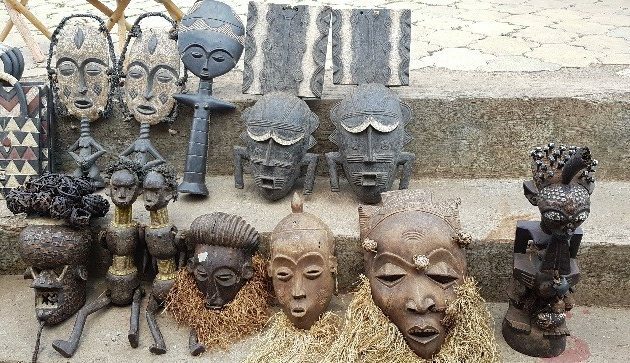 They were sitting in the sun, outside a shop in Kigali, Rwanda’s capital city, during my trip there earlier this month. The Office for National Statistics (ONS) is currently recruiting for a Strategic Adviser on Statistical Modernisation, based in Rwanda. 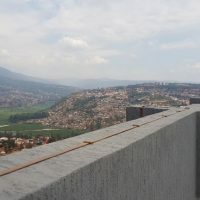 In this blog, I’d like to tell you about some of the work we have been doing in Rwanda recently and share a few of my photos which show what Rwanda is like. If you’re interested in applying for the post, application details can be found on Civil Service Jobs. 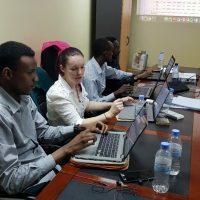 The Data Science Campus, under the direction of the International Development Team, and with the help of various other teams across ONS, has been supporting the implementation of Rwanda’s Data Revolution Policy. 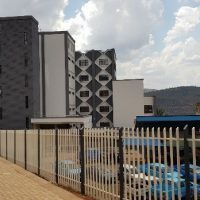 Rwanda recognized early on the value of data (the ‘new gold’) and has been building its data science capability and its own Data Science and Training Centre (more on that in a bit…). As we in the Campus have been doing similar activities, I have been lucky enough to go out to beautiful Rwanda a few times. I’ve shared what we have learnt about setting up the Campus and developing data science across government, and learnt from our hosts, the National Institute for Statistics for Rwanda (NISR) and their colleagues across the Rwandan Government. For this trip, I took with me data scientists Alex Noyvirt and Emily Tew. 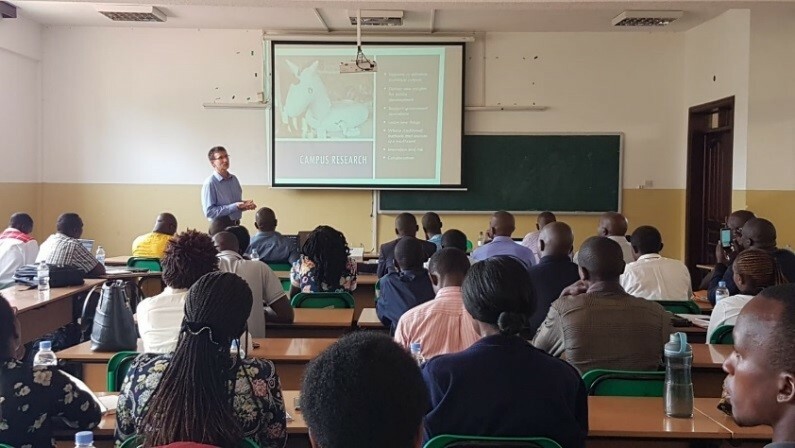 Alex can be seen here presenting a picture of a unicorn to data science PhD students at the University of Rwanda. Further slides showed some of the project work that the UK Campus has been doing. 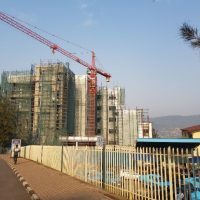 Alex has also been working with the National Bank of Rwanda (NBR) on a project using data from NBR’s new, amazing, database of data from Rwandan financial institutions. Like the UK, important areas of interest for the central bank are around financial stability and financial inclusion. We also hope to work with NBR on their rich (terabytes!) data on mobile payments. Alex also found time to deliver two days of Python training to NISR staff – initially this was to be 5, or maybe 10 people, but such is the appetite for learning data science skills, it ended up being around 25 people! Emily also delivered some training, seen here at NISR’s premises – although what you can’t see is the stunning view from the window. Emily has been working with NISR staff to develop a reproducible analytical pipeline for part of their trade data processing. This will move processes from fragile, risky, labour-intensive spreadsheets to a more robust Python process. Sounds familiar?! It should; it is inspired by the work of our own Big Data Team on the research and development expenditure Reproducible Analytical Pipelines (RAP) project. It has been really interesting to me how similar many of the challenges facing NISR are to those facing ONS. We both want to make better use of data, we want efficient, robust systems, we want to build skills and encourage curiosity, and we want to share data, whilst keeping it secure. The weather’s a bit different from Newport though (or Titchfield, or London). 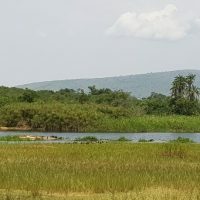 The average temperature is 21 degrees Celsius, and it is a lush, green and red country with fabulous birds, flowers and butterflies (and baby monkeys!). 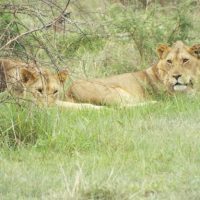 They have a rainy season, where it can rain quite heavily in the afternoon. The year after I moved to Cardiff, it rained non-stop for 6 weeks. THAT’s what I call a rainy season! 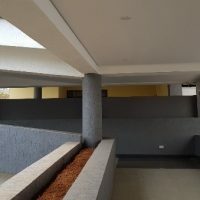 The Centre will be the hub for data science in Rwanda, and will host training, conferences, and a data science lab. Supporting NISR and Rwanda in getting the most from this facility will be an important part of the Strategic Adviser post. The Adviser will build on the work we have begun, identifying, developing and mentoring data science projects, advising on the development of good practice policies, building capability, and working with NISR’s stakeholders across the public, private and academic sector. If you want to know more about what it’s like in Rwanda, then please get in touch.